Governor Greg Abbott has just issued states of emergencies for 50 counties in South Texas and federal states of emergencies for 19 counties. I, like many others, have people I love and care about who are riding out this storm. For anyone who's ever lived through a disaster, the unexpected and silent outcome is the long-term mental health needs for folks devastated by the event, in this case Harvey. And the needs are going to be substantial. 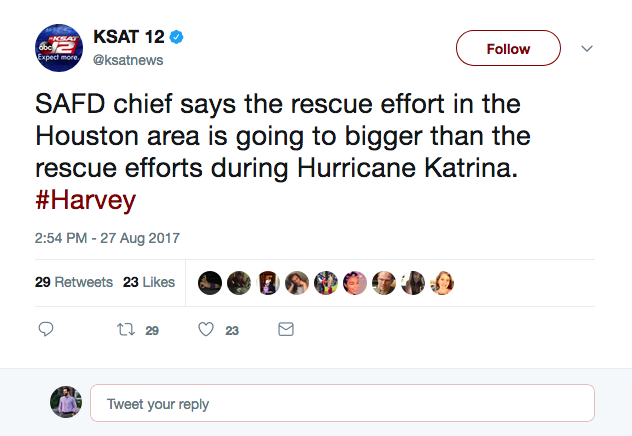 The San Antonio Fire Department chief just reported that he thought the support efforts following Harvey may be worse than Katrina. Not that this is a competition, but people need help. Here's a list of all the resources I can find for people who need help now and in the days to come. If you're on WIC or SNAP food stamps, Governor's office is now reporting that you can use these resources for hot foods that you can't usually purchase. This is only supposed to last until September 30th, but most anticipate this deadline will be extended as the reality of Hurricane Harvey hits South Texas. The Department of State Health Services has a consortium that exists to coordinate mental health-related services in times of a crisis. Texas has set aside DSHS to coordinate care during and after Hurricane Harvey. On their webpage, there's a list of local individuals and services you can call to find mental health resources. Local Mental Health Authorities (LMHA's) are state-trained mental health agencies and organizations that exist to provide disaster relief. This is a list of all the current up to date LMHAs. MHMR of Houston is currently the only LMHA in Houston. Their phone number is 866-970-4770. They'll likely be unreachable, so there are other options available to Houstonians. FEMA has a fund to support crisis counseling during periods of disaster. Governor Greg Abbott has declared a state of emergency in Texas, so these resources will be available to Houstonians and all 19 counties where a federal disaster has been declared. It's likely that more counties will have access to these resources as the Governor's office evaluates whether further federal resources are needed for more affected areas. 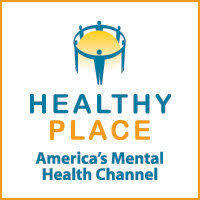 The American Red Cross has a Mental Health Line staffed by trained professionals to respond to your needs. The line is available now. Please don't neglect this opportunity to take care of yourself if you need it. You can text the word TALKWITHUS to 66746 and they'll respond to you to provide whatever support they can. Everyone who is impacted by Hurricane Harvey should be looking inward to make sure that they're getting the care they need. Symptoms of Post-Traumatic Stress Disorder are common, even for those who aren't directly in the worst of the path of the storm. For those who have loved ones affected by the hurricane, powerlessness can be a strong trigger for pre-existing conditions of mental health. If you can't do anything, take deep breaths and stay as connected to your loved ones as possible while taking necessary breaks from the news. If you need to do something, try and coordinate care packages or make donations to disaster relief funds. I'll try to keep this list updated as much as possible. If you know of more resources, please don't hesitate to let me know. Why Multiple Orgasms Aren't Actually a Thing.